Getting lost isn’t something that you can easily accomplish in today's modern world. The constant bombardment of smartphones, computers, radio, and the like distract us from living our everyday life. I am not immune from the role electronic media plays in modern society. I can however, control when I expose myself to it. To me that means searching for stillness in activites and pastimes that doesn't involve a screen. 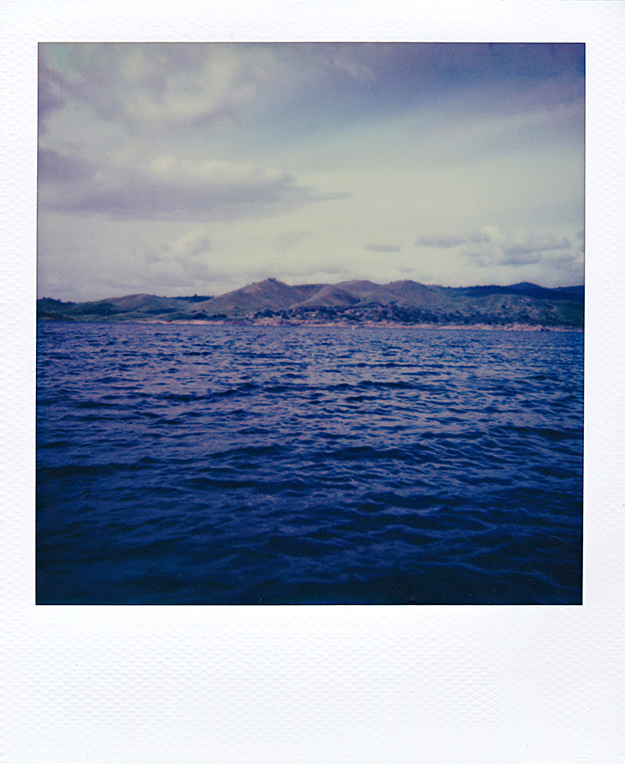 I like getting lost at a place I have been photographing for 10 years: Millerton Lake, California. There are always new rocks to climb and more angles to see every time I visit. It is my favorite place. 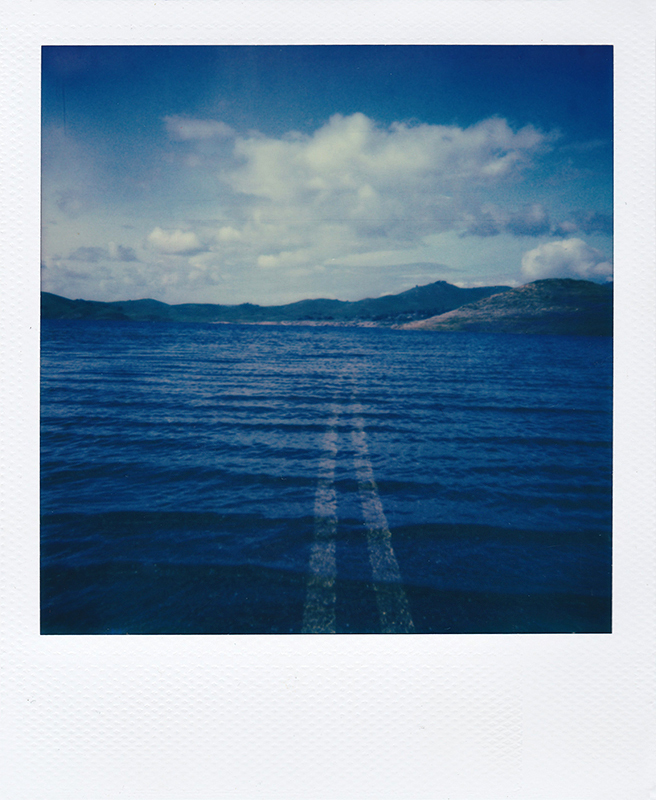 Five years ago, after swearing off shooting digital cameras to get rid of unnecessary screen time, I experienced shooting my first pack of Impossible FIlm on a recently acquired SX-70 from ebay. The camera was old and to be honest, half working. But the moments I captured that day are some of my fondness memories. Not only because I was with close friends, but because a beautiful analog machine of the past was brought back to life along with my photographic spirit. I felt like I finally found a way to express myself without having to have result to a “workflow” on a computer to accomplish an end image. The instant gratification of getting lost in a real life “workflow” that results in a product here and now is energizing and magical. Beyond my first experience shooting Impossible’s film in 2010, I have always returned to this specific place with this specific camera and film combination. 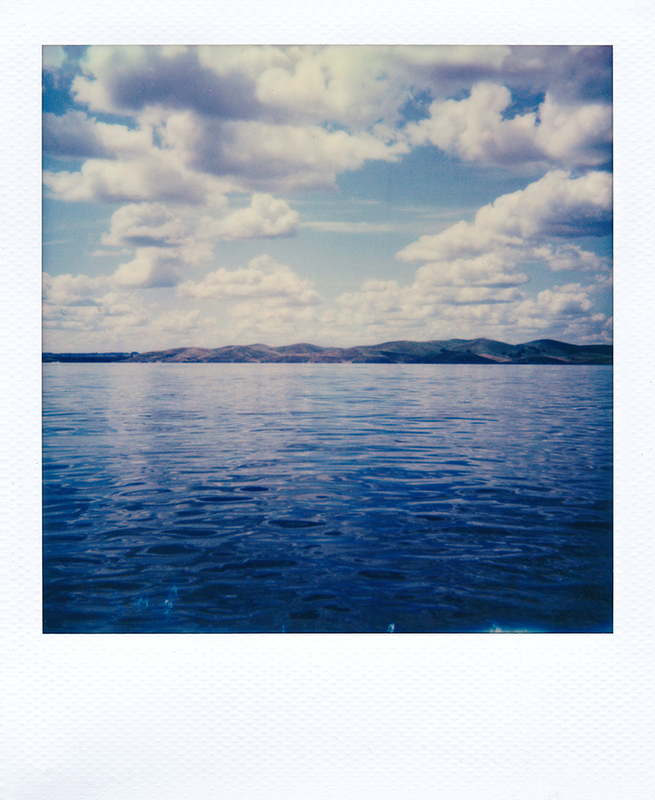 The hours that I have spent at Millerton Lake has brought symmetry to my life. Symmetry is important because it's either in your life or in your photography. For me it’s in my photography. I compose symmetrically pleasing images because it brings balance and calm to my life. Sometimes that doesn't mean 100 percent perfectly straight horizons or exposed subjects, but that's ok because life doesn't work that way either. It’s important to bring yourself into your photography, including your own imperfections. It's what makes them real. A real way of getting lost in yourself and your surroundings. Millerton Lake is Located a quick 20 minute drive North from Fresno, California. It is a manmade reservoir that was built in 1942 that has a capacity of 520,528 acre·ft of water. It is a place that through the drought, has suffered highs and lows just like the rest of California. Though no matter how bleak and empty or beautiful and full it is, it is a place that continuously offers new things to look at and explore. This place has become a place of solitude for me where I have spent hundreds of hours walking it's calming waters and shores. The following images were captured in Millerton Lake, California March 1st through March 31st, 2016. They are the beginning of my series, Lost at the Lake, an ongoing continuous exploration of self through the wanderings of an ever changing landscape.